Sleep is a big deal and a big struggle. Nothing sends me spiraling into grumpiness and depression like a lack of sleep. When I learned of my pregnancy, my first thought was to figure out how to gently sleep train my child as soon as possible. I knew I couldn’t handle sleep deprivation for very long. Sleep is also a huge priority in my parenting. Not only does sleep make for a happier baby, but it also is crucial for development and learning. Lots of children today are sleep deprived, and I don’t want my kid to be one of them. e.e. is a good sleeper, so his first couple of months were the stuff of parental dreams. He slept five or six consecutive hours a night, and took naps like a champ. We practiced good sleep habits, like putting him down drowsy but awake, following the Eat, Play, Sleep routine to prevent overtiredness, and rarely nursing him to sleep. And people said this parenting thing was hard. From birth, e.e. slept on his tummy. At his two month checkup, our pediatrician did her duty and scared me into trying to get e.e. to sleep on his back. Since he already was a good sleeper, she said, it shouldn’t be difficult to transition him onto his back. She stands by her advice to this day, and she also takes full blame for ruining my child’s sleep. I don’t know if a sleep regression coincided with our attempts to put him on his back or if our attempts to put him on his back triggered a sleep regression, but everything went haywire after that. He stopped sleeping through the night, instead waking every hour or two to nurse. Getting him to nap was the most agonizing, futile thing I’ve ever done. We switched him onto his tummy to control the damage, but to no avail. Once upon a glorious time, we just needed to swaddle him, insert a pacifier, bounce him a bit on the exercise ball, and he was out. Now he screamed at the swaddle, screamed at the pacifier, and screamed at the bouncing (unless we bounced for a minimum of ten minutes to calm him down, and then another thirty to get him to sleep). Naptime became a battle, and nobody won. e.e. was tired and cranky all the time. I was tired and cranky all the time. At its worst, it took me two hours of repeatedly trying the old methods to get e.e. to bed, and in the end, we still cried ourselves to sleep. This was not working for us. At our pediatrician’s suggestion, we decided to let e.e. figure out how to sleep on his own. I came home from the appointment, put him in his bassinet, and listened to him scream. I desperately tried to drown myself in infant sleep research so as to quell the anxiety searing through my bloodstream. Every five minutes, I went in to pat his back and assure him that mommy was here and loved him. His screams made me feel like the worst mom in the world: If you were really here and loving me, I wouldn’t be crying at the top of my lungs! I was crying, he was crying, and finally, after twenty minutes, I scooped him up and nursed him to sleep. As he slumbered peacefully in my arms, I bolstered my resolve with a good, hard look at my baby’s needs. e.e. needed to sleep more than he needed to not cry. Besides, even if my goal was to reduce his tears, then the status quo wasn’t working: he cried just as hard when I bounced, crooned, and patted him as when I let him cry himself to sleep. He was giving me more than enough hints that he wanted me to trust his competency — kicking out of the swaddle, arching away from the pacifier, wailing on the exercise ball, even turning away from the breast. He was his own person, with his own timetable for doing things that didn’t fit my predetermined plans. If I insisted on listening to my fear and anxiety about him crying, we’d get even more sleep deprived. 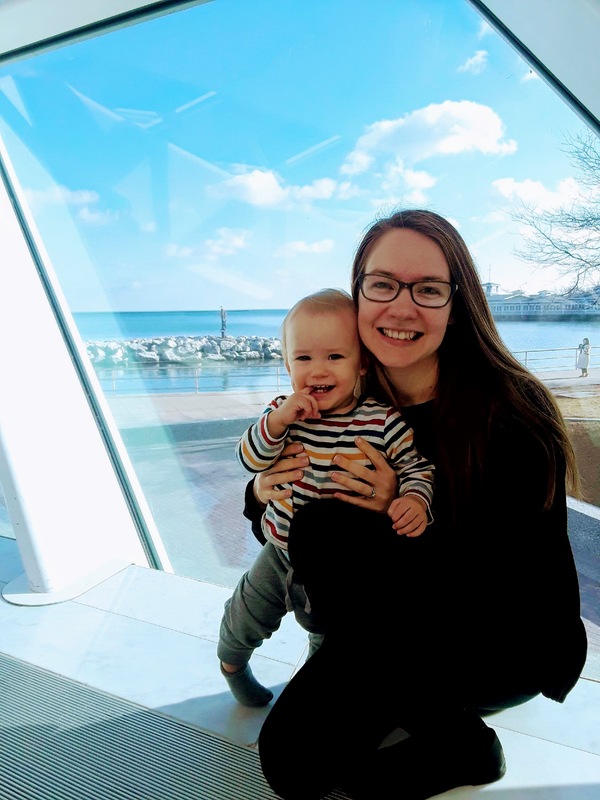 I did some research to curb my fears about the dangers of cortisol spikes and abandonment, and touched base with a couple of moms with lovely children completely unaffected by their early days of crying it out. Go to sleep, sleep, sleep. Go to sleep, little one. For you are guarded, protected by my love. Then I give him a kiss (okay, lots of kisses), place him on his tummy, and wish him a happy nap. That’s it. What once took hours now takes a few minutes. He’s caught on quickly! It’s only been a couple of days, but for the most part, he cries or fusses only a few minutes before I sneak back in to see him conked out for a good, long nap. Before I lay him down, he starts sucking on his own fist to calm himself, something he never did before when I was frantically sticking pacifiers in his mouth. This is such a huge relief for both of us to go from long, drawn out battles to a short, effective routine that allows him to sleep longer and, ironically, cry less. A part of me feels like crying, but I’m glad this worked for you. To anyone reading this who thinks Bailey is the best mom ever and is now feeling guilty that you “weren’t strong enough” (or something) to let your child cry it out and are now thinking you made the wrong choice – you didn’t. I absolutely agree that Bailey is an amazing mom. That opinion has not changed a bit. But you don’t *have* to train your baby to sleep. It is *normal* for your baby to want to sleep in physical contact with you. Nursing your baby to sleep is not inherently bad. Thank you for this! Moms always need explicit reminders that the choices they make for their babies and the inclinations they feel are not bad. That mother/baby bond is SO important, and no blogger or success story should make a mom change what’s working for her! I still get up in the night to feed my baby back to sleep even though, technically, he could be weaned off night feedings in a month or so, and sometimes we cosleep even though people say that will make it harder to sleep on his own. That’s what works for us, and I don’t believe the choices we make about our babies’ sleep has all that much impact in the long run — but it has an incredible impact in the short run, and it’s different for so many people. So yes, nurse and snuggle those babies whenever and for however long it works for you!!! Re-reading my prior comment I was worried it sounds like I thought Bailey was trying to make people feel guilty. Absolutely not the case! Everything about this post is supportive and helpful. I just know that when I was a new mother I was pretty much constantly feeling guilty or uncertain about something. Whatever you are doing regarding your baby’s sleep, if it is working for your family, then you are doing fine. I relate to this so much. The attachment parenting idea of sleep vs. different kinds of sleep training was such a huge issue for me with my son. He nursed/rocked to sleep and slept through the night like a charm from about months 2-6, and then all of a sudden he was waking up literally every 30 minutes to 2 hours every night, all night long. I held out on that schedule for two solid months, and looking back, I think I needed to prove to myself that the sleep training we eventually did was for his sake, not for mine. It was the hardest time I have ever gone through, even excepting childbirth and the newborn nights. I even tried sleeping with him, which I had never been willing to do because I simply cannot do more than doze off and on with a baby next to me. Finally, one night as I was trying to lay him down and he woke up only to moan and squirm around, pitifully tired, I finally accepted that HE needed sleep as badly as I did. So sleep training happened and two weeks later he shocked me by joyfully reaching into his crib and snuggling down with a smile on his face. And I survived. But as much as I miss cuddling e.e. to sleep, it was so the right decision to allow him to fall asleep by himself. He cries less or not at all and sleeps so much longer. I will happily do whatever it takes with any future children (nurse/bounce/rock to sleep, etc.) because 3 months is still really young to sleep train, but this was definitely the right decision for e.e. And I’m torn about cosleeping. I love it, but our bed is too small for two adults and a baby to sleep comfortably together. e.e. is always whacking/kicking me while I’m trying to sleep, and I have to basically sleep on my nightstand in order to provide enough pillowless room for him to safely sleep. Not a fan. :P We normally bring e.e. into bed with us in the morning for awake family cuddle time — my absolute favorite part of the day! Yes, yes, and yes. :) I think my mom was kind of middle-of-the-road — I’m pretty sure they would switch to sleep training later on, closer to a year, but my bedroom was on the other end of the house, and I really never knew, haha! Despite having seven younger siblings, I somehow didn’t realize that sleep was such a huge issue for babies?! That sounds pretty crazy now. :) I could never picture anything *but* feeding on-demand because I didn’t know how I could ever not feed him when he’s hungry OR feed him when he’s not hungry, but now that I’m finally learning more about how it actually works (researching for my second), I’m pretty excited about much sooner, gentle sleep training and establishing a healthy, happy pattern for his days. Well, I may be as naive about that as I was about go-with-the-flow parenting last time, so we’ll see, lol! I’m sure I’ll have it perfectly figured out by the time I have my 56th child. Haha! You know, I don’t remember babies being hard and my mom being sleep-deprived when I was a big sister to all these little babies. It looked so simple and easy. Maybe it was, or maybe I was super nonobservant.